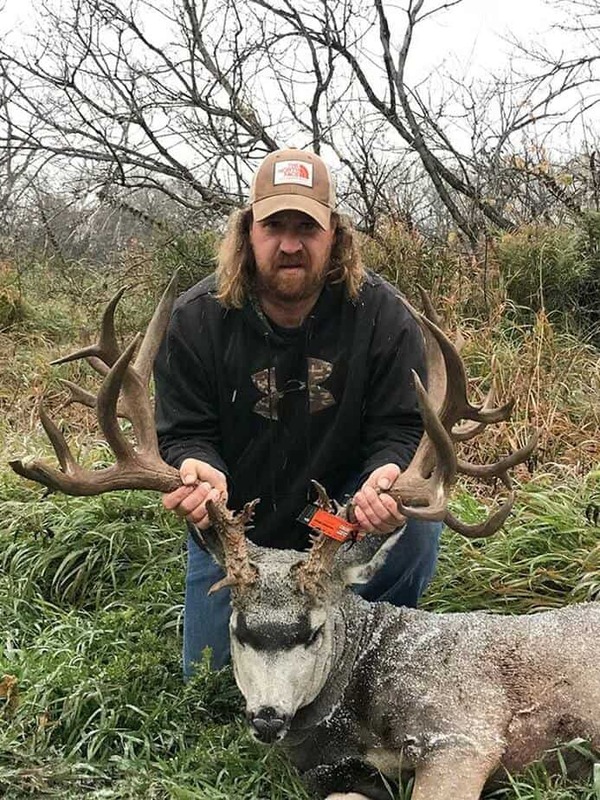 On October 1, 2018, Saskatchewan Wildlife Federation member Dennis Bennett arrowed the deer of a lifetime in the Arm River area of Saskatchewan. This non-typical mule deer was panel measured by official Henry Kelsey measurers and scored 293 6/8. It has been declared a Henry Kelsey provincial record, meeting the minimum score of 200, surpassing the previous provincial HK record of 290 taken back in the 1920s. .
Henry Kelsey and Pope & Young both use the Boone & Crockett scoring technique, with the difference being that Henry Kelsey uses the green score, whereas P&Y and B&C require a 60-day drying period. Pope & Young, which records animals taken by archery only, has declared Bennett’s deer a P&Y world record with a final score of 291 1/8. 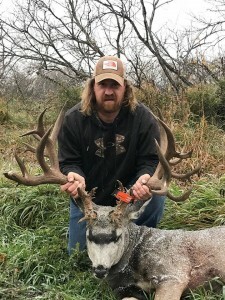 Bennett’s non-typical mule deer now joins Milo Hanson’s typical whitetail as another recognized world record from Saskatchewan! This entry was posted in Big Bucks, BigDeer, Bowhunting, Deer Hunting, Hanback, mule deer by admin. Bookmark the permalink.